We believe in doing just one thing really well... Massage. 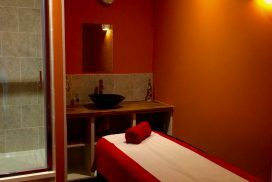 We provide full body massage in several styles and will also tailor the massage to your individual needs. Just tell our fully qualified Chinese masseuses exactly how you would like your massage treatment and they will follow your directions to ensure you are fully relaxed and content. Chinese, Swedish, Aromatherapy, Thai, Deep Tissue are just some of our treatments and they can be focussed on the face, head, neck, shoulders, feet or full body. We don’t do facials, or pedicures or any other beauty treatments – we are all about massage. 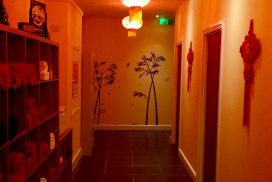 At Velvet Spa our treatment rooms have mood lighting, relaxing aromas and soft music creating an atmosphere of relaxation whilst having your choice of treatment. Each room has a private shower to help you prepare before, or revive after your treatment. We also have an infrared sauna for you to use free of charge after any one hour treatment. Ancient Chinese experts and practitioners believe that energy in the body has to flow continuously to help an individual to relieve stress and prevent diseases. There are two kinds of traditional Chinese massage: the "Tui na" and the "Zhi Ya." The techniques between the two differ, but people will experience renewed strength and vigor after a session lasting at least 30 minutes. Chinese massage has become widely used around the globe. Body Scrub Package 100 minutes - £60. Free use of infrared sauna with 60/90 minute treatments. We are open every day from 10:00am to 8:30pm. The last 60 minute appointment is at 7:30pm. We will be closed on Bank Holidays and Christmas Day.